So, my friend came up to me the other day and asked if I wanted a frozen banana, and I said no, but I want a normal banana later, so... yea. errr.... any name or theme for the coaster? maybe something around energy? going to ride it next spring, hopefully if they open in time, but they are german so the german "puncktlichkeit" will make sure they finish it in time. Wow, those trains look wickedly awesome! The restraint system should be awesome! interesting... doesnt look to safe, but who knows. odd. This may be interesting. Dang, this looks as hot as an intamin. 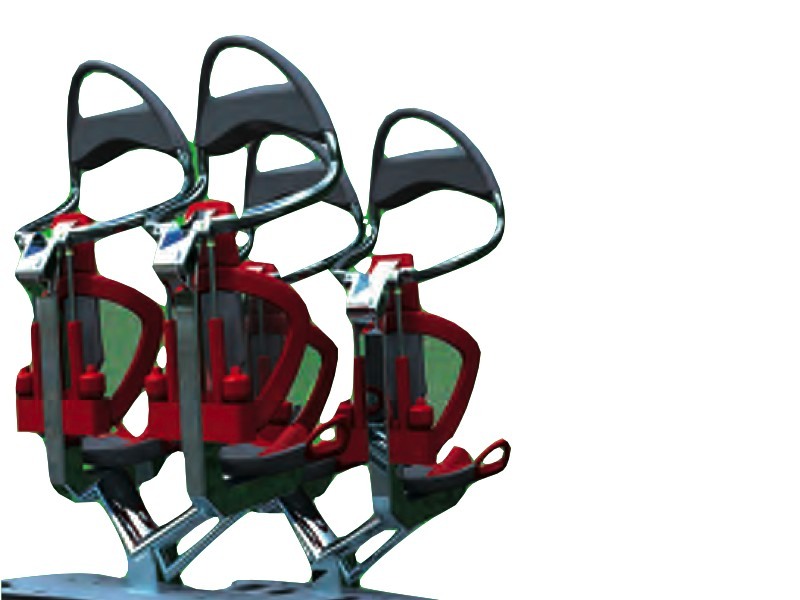 The restraints are nicer than the most recent intamin OTSRs. This is just a more compact version of a lapbar; nice. The supports are cute looking. Wow, this looks like it will be great. Cant wait to see how those restraints pan out! Meanwhile the trackwork is alot further, even some theming has already some texture [pshades] The German Maverick comes close! there certainly is one bit of this that looks alot like part of Maverick! Looking seriously sweet, best mack so far!? MMmmm. I love those low to ground turns. ^ Is that going to be a horshoe roll like the one on Mav? Tunnels are being built and trackwork is looking amazing. This is really a bid ride. That loop is huge. I figured it would be small but the first hill is pretty huge. Well, the ride is now complete, and made a first test WITH humans! Is it necessary for those lap-bars to be so damn chunky? The German Maverick comes close! And today there was a preview for the press out there. And of course, An onride video! look at lake in one of the illustations-could be a splash coaster as well.